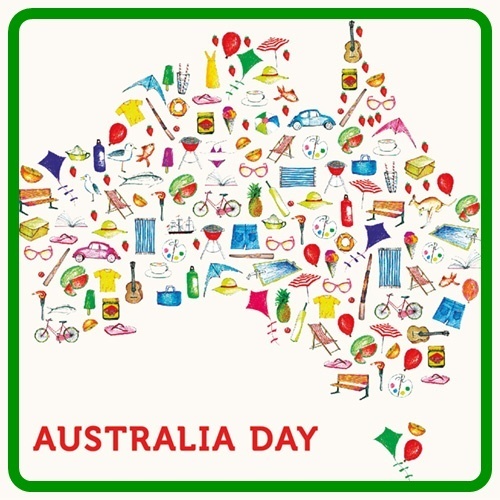 Celebrate our great nation and ponder over the past and what has been achieved in our short history as well as looking to the future and its possibilities whilst enjoying one of Australia Day's festivities away from the city in Western Sydney. Whilst the suburbs get their share of visitors, it's likely they will be somewhat less than the crowds in the city where you can barely move so here's a list of free events where you can enjoy entertainment and activities as good as in the city and not be boxed in so much. The local Cumberland Council are bringing you a great evening out this Australia Day with some interesting fun in their line-up that will have you chillin' out to your favourite tunes, enjoying singing and dancing, amusement rides, food trucks and fireworks. Musically, two amazing headline acts in Triple J's rising star Thandi Phoenix and 2015 X Factor winner Cyrus will perform. A DJ will also pump out the beats and at certain times you can tweet @CumberlandSyd to request your favourite Aussie song. A sing along with Blinky Bill will have the youngies enthralled and a traditional Aboriginal performance by the Freeman Dancers will entertain onlookers as well. Activities include painting your own boomerang and decorating a pavlova, as well as a range of community information activity stalls. Families can play jumbo games, such as Twister and Connect Four, and more. Ride the Super Sizzler, a mechanical elephant ride and dodgems, amongst many other carnival amusements. Fireworks will complete the event with a DJ Aussie mix-up playing as the sky is lit up. 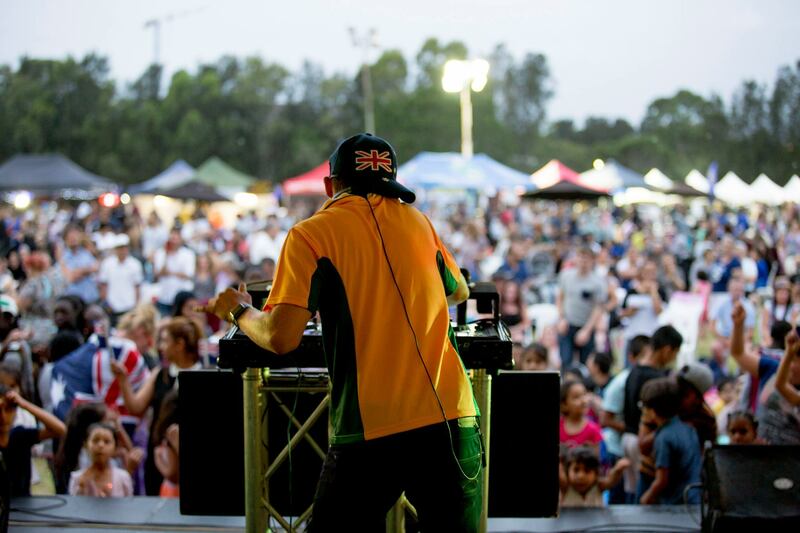 It's on from 5pm-9pm with the gardens located at Cnr Walpole & Pitt Sts, Merrylands. Free shuttle buses will operate every 30 minutes between 4.30pm and 10pm to and from the gardens and the following places – Auburn Station, Granville Station, Merrylands Station and Merrylands Park. The City of Ryde's annual family concert returns with an exciting line-up and a new addition in the Battle of the Bands competition. Three finalists from the comp will perform on Australia Day and showcase their talents to the community. A judging panel will then finalise the winner on the night and award their prize that includes $1000 cash, a mastering session at Studios 301 and a mentoring session with a leading Australian music industry executive. The people can also vote for their favourite to be in with a chance to win the People's Choice Award, a cash prize of $250. Following this battle, there's more entertainment with Jay Parrino & The Rockers of Oz as well as rocker Spencer Jones from 2017's The Voice Australia, who has shared a stage with the likes of Led Zeppelin and Iron Maiden. Sports are also part of this event and include a thong throwing competition which is always good for a laugh, with the added bonus of prizes. Amusement rides, food trucks and fireworks are all onsite at this event taking place from 5pm-9pm. The park is on Wicks Rd, North Ryde. Parking is available onsite and in surrounding streets. Cathy Freeman Park within the Sydney Olympic Park area will host a massive amount of free entertainment, delicious food stalls and more on this anniversary of the day the First Fleet set foot on our shore. 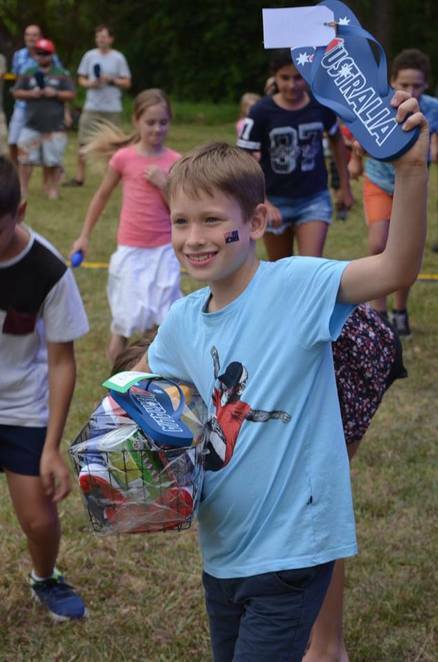 Activities on the day include arts and crafts plus a number of fun sporting activities. The Sydney Thunder Bus brings some great cricket highlights to you on LED screens as well as the Thunder Arm for you to try your hand at bowling. Look out for giveaways and The Big Bash team who will be running coaching clinics. The colourful yellow sports stars of StarsTV will also be here, once again getting kids active with fun games. Carnival rides and roving musicians are all part of the entertainment program that starts at 2pm. Fireworks will go off with a bang at 8.30pm but, unlike other events, this is not the finale. Movies by the Boulevard is currently running and Australia Day sees a special screening after the fireworks of Australian film Lion, starring Dev Patel and Nicole Kidman, telling the true story of a man who sets out to find his family 25 years after being separated from them. There are a number of ways to get to this event on Olympic Blvd. Train it to Sydney Olympic Park station or bus it as there are usually many extra services from different areas to the park when an event of this nature is on. Check with your local bus company. Parking stations abound but usually fill up so it is best to pre-book a spot. Get ready for a massive 15 hour event featuring non-stop entertainment and a wide variety of activities, kicking off at 6am with the popular hot air balloon display. It's a colourful and spectacular sight to see. A Big BBQ follows with a competition where participants battle it out in categories of best-smoked meats, best grilled and best-basted meats. Try all manner of things that go on a barbie here before heading over to the CARnivale display of classic and vintage vehicles, bikes, trucks, coaches and fire engines. 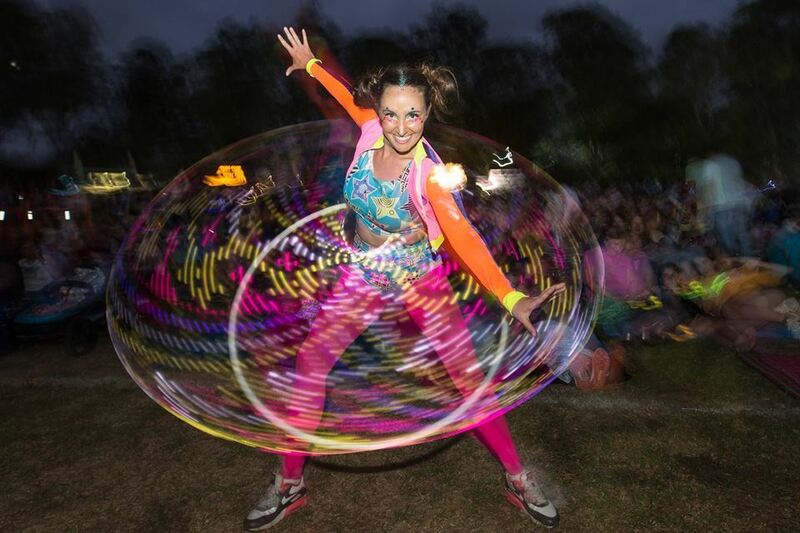 There's music across two stages – The Red Bull stage and The Crescent stage. Unlike many family-friendly events, this one is not alcohol-free. You can grab a drink at the bar from 12pm and catch female DJ artists at the Red Bull stage bringing good vibes with different styles of music. On the main stage, The Crescent, there's a lot of activity happening. In the morning, there's yoga, singing and dancing in a fairy adventure, and Indigenous storytelling. Lunchtime sees a Fizzics 'Kaboom' show as well as a magic show plus a meet and greet with Hi-5 members. In the afternoon children will enjoy the animal Parade of Creatures and the Lavender Lily Show before the evening party kicks in with various singers and dancers entertaining you. The grand final of the Parravision Talent competition will take place too with the winner performing prior to headline acts, Kate Ceberano and Daryl Braithwaite, taking the stage. Workshops around the Kid's Crescent include magic and a circus playground where families can learn juggling skills and how to walk on beams and stilts. Craft stations are aplenty where you can make masks, slime and decorate boomerangs or wooden native animals. Dance parties, bag races and games round out the fun. Plenty of rides are onsite for thrill seekers and young ones and you won't go hungry here either with plenty of food available to eat your heart out. Like most events on Australia Day, fireworks are the finale and here they are set to NOVA's music soundtrack. Finishing at 9pm, this action-packed day at the park will be vehicle-free (normally you can drive around it). There are car parks nearby and some parking in surrounding streets. The main entry points to the park are via O'Connell St (next to the Grounds Keeper Cafe) and Macquarie St (next to the RSL). It's a short walk from both Westmead Station and the Parramatta Interchange. To see all that's on, be sure to visit the website and plan your day. 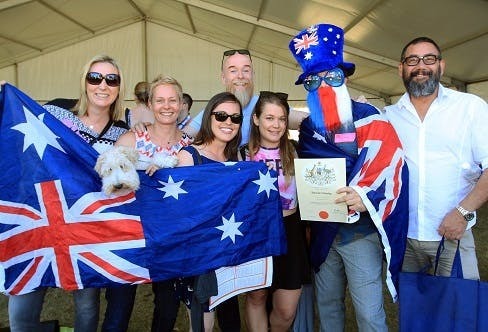 The Inner West Council invites you to join them this Australia Day for a picnic with a Citizenship Ceremony and the announcement of the citizens of the year, followed by entertainment and tonnes of free activities in Enmore Park. Local acts include young group The Gamarada Boys, ABC Kids presenter and musical artist Nay Nay, The Voice 2016 contestant Emad Younan, rock group The Nevilles and headline pop rock band 1927 (remember the songs That's When I Think of You, If I Could and Scars). The mobile playgroup, that is the Magic Yellow Bus, will roll up and provide fun games and activity stations, art and craft tables and sports activities that help develop muscle strength, confidence, coordination and balance, including their balance beams and jumping mats. A jumping castle, face painting, native Australian animals and many more activities will keep the children busy. The park also has a good playground, complete with a space rocket, swings, slides, a spider climbing net and more. The Annette Kellerman Aquatic Centre is within the confines of the park too and if it gets too hot on the day you can just nip over and cool down. International food stalls will be available and a fireworks display will close the event. It's on from 2.30pm-9pm and you can find the park at Cnr Enmore Rd & Llewellyn St, Marrickville. Newtown station is the closest and various bus routes go down Enmore Rd, stopping adjacent to the park. More detail on this event can be found here. A massive afternoon from noon will see you enjoying show-stopping performances, rides, roving performers and more in this country feel of an event at this historic farm in The Hills district. 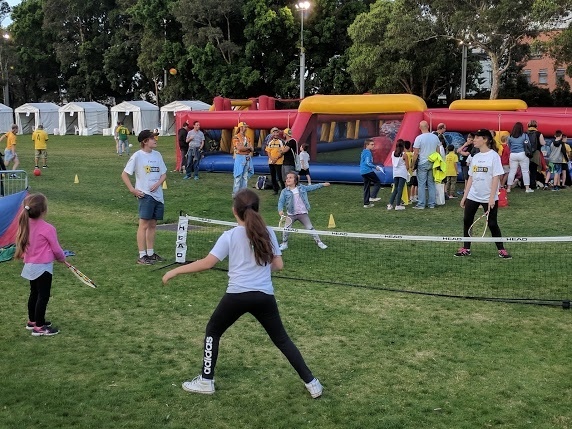 Start off with a barbecue under the Bunya Pines or some delicious street food before dropping by the Kids Zone where the young ones can enjoy some balloon twisting, face painting, a pop-up library and live entertainment. Country life comes to the fore in the Australiana displays of blacksmithing, sheep shearing, whip cracking and working dog demonstrations. Learn how it's done by professionals and maybe have a go yourself at some of these. On the main stage from 6pm, listen to some great music and performances from 2017 The Voice contestant Fasika Ayallew, rock/pop band Mental as Anything and headline act Rogue Traders with Natalie Bassingthwaighte. Stick around and top off the evening with fireworks at 9pm. The farm is located at 2 Elizabeth MacArthur Drv, Bella Vista. For those travelling by car, parking is available onsite. Alternatively, Hills Bus line will provide services to Bella Vista. 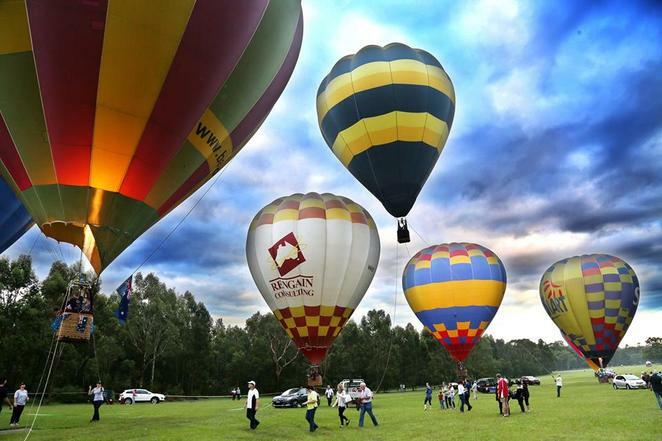 For more event info and other celebrations in The Hills area, visit the Shire's website. Blacktown Council brings festivities to this park with two names and there's something for young and old to enjoy on Australia Day. Circus style and acrobatic performers will entertain as will a host of well-known music acts. On the stage, the vibrant Jay Seeney Band kicks off the music at 4pm, followed by dance cover band The Kami's, country music singer-songwriter Christie Lamb, electropop band Pseudo Echo and rocker Diesel. Timings of performances can be found on the website. Free amusement rides abound as well as food stalls. Fireworks will take place before the event closes at 9.30pm. Gates open on Eastern Rd, Rooty Hill at 3.30pm. Limited free parking is available. If coming by train, the reserve is a 10 minute walk from Rooty Hill station.